Born October 28, 1952 (age 63) (1952-10-28) Nashville, Tennessee, U.S.
Anne Hampton Potts (born October 28, 1952) is an American film, television and stage actress. She is known for her roles in popular 1980s films such as Ghostbusters (1984), Ghostbusters II (1989), Pretty in Pink (1986), Jumpin' Jack Flash (1986) and Who's Harry Crumb? (1989). In the 1990s, she voiced Bo Peep in the animated films Toy Story (1995) and Toy Story 2 (1999). She is also known for playing Mary Jo Jackson Shively on the CBS sitcom Designing Women (1986–1993). Potts was nominated for a Primetime Emmy Award in 1994 for playing Dana Palladino on the CBS sitcom Love & War (1993–1995), and was nominated for a Screen Actors Guild Award in 1998 and 1999 for playing Mary Elizabeth Sims in the Lifetime drama series Any Day Now (1998–2002). In 2012, she starred as Gigi Stopper on the ABC comedy-drama series GCB. Potts was born in Nashville, Tennessee, as the third daughter of Powell Grisette Potts and Dorothy Harris (née Billingslea) Potts. Her older sisters are: Mary Eleanor (Potts) Hovious, and Elizabeth Grissette ("Dollie") Potts. They grew up in Franklin, Kentucky, where she graduated from Franklin-Simpson High School in 1970. She received a Bachelor in Fine Arts degree (in theater arts) from Stephens College in Columbia, Missouri. At the age of 21, Potts was the victim of a car accident which left nearly every bone below her waist broken. Potts made her debut on the big screen in 1978 in the Metro-Goldwyn-Mayer comedy film Corvette Summer, with Mark Hamill. She was nominated for a Golden Globe Award in 1979 for her role in the film. In 1982 she won Genie Awards for Best Performance by a Foreign Actress for her role in the film Heartaches, about a young woman, married to a stock car racer and carrying his friend's child. In 1980, she played Edith Bedelmeyer, a woman who shared an attic apartment with three other women (played by Georgia Engel, Lorna Patterson and Francine Tacker) on the short-lived comedy series, Goodtime Girls. 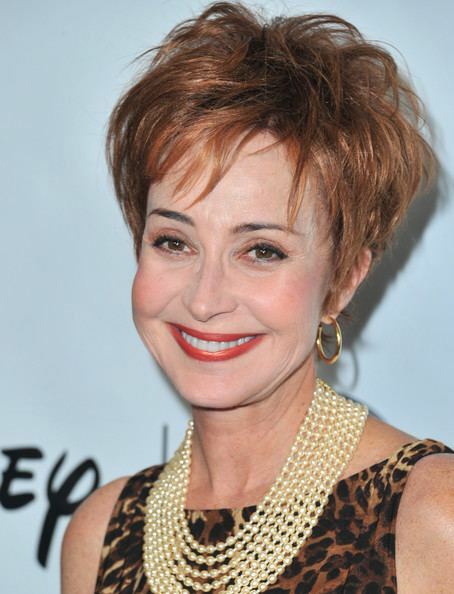 Potts played receptionist Janine Melnitz in the Ghostbusters film series and then achieved fame as the pragmatic interior designer Mary Jo Shively on the CBS television sitcom Designing Women (1986–1993), and has had a wide variety of prominent roles in both television and film. She was nominated for a Primetime Emmy Award for Outstanding Lead Actress in a Comedy Series in 1994 for role as Dana Palladino on Love & War (1993–1995). 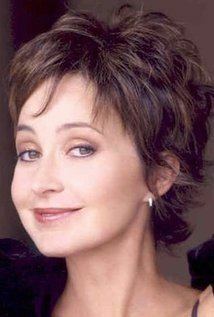 Other notable roles include Mary Elizabeth (O'Brien) Sims on the Lifetime Television drama series Any Day Now (1998–2002), for which she was nominated for two Screen Actors Guild Award for Outstanding Performance by a Female Actor in a Drama Series, the voice of Little Bo Peep in the first two Toy Story films, a supporting role in John Hughes's Pretty in Pink as well as guest-starring roles on such CBS's television series as Magnum, P.I., Joan of Arcadia, Close to Home, Two and a Half Men and ABC' Men in Trees, Ugly Betty and Boston Legal. She played a recurring role as Sophie Devere in the NBC's Law & Order: Special Victims Unit from 2005 to 2009. Potts has done work on audio books, including as the narrator and heroine of Larry McMurtry's Telegraph Days. She starred in the film version of McMurtry's Texasville, a sequel to The Last Picture Show. She made her Broadway debut upon joining the cast of the Tony Award–winning play God of Carnage on November 17, 2009, succeeding Hope Davis in the role. In 2012, Potts starred as Elizabeth "Gigi" Stopper in ABC's comedy-drama series GCB, with Leslie Bibb, Kristin Chenoweth, Jennifer Aspen, Miriam Shor and Marisol Nichols. She says she based her portrayal of the character on Dixie Carter, adding, "Were she still alive, the role would have been hers and should have been." Potts also played a leading role in the 2012 Hallmark Channel original musical movie The Music Teacher, about a high school music teacher who is on the brink of losing her beloved school music program because of district budget cuts. In an effort to spare the program, Daley's former students band together to stage a musical to raise money to keep the program alive. In March 2013, Potts signed on for the lead role of the ABC comedy-drama pilot Murder in Manhattan about mother and daughter who team up as amateur sleuths. ABC later looked for a cable network to distribute the series, opting not to air it on network television. In late 2013, it was announced that Potts would join Diane Paulus' critically acclaimed revival of Pippin beginning January 21, 2014. She replaced Tony award nominee Tovah Feldshuh in the role of Pippin's grandmother Berthe. This marked her first appearance in a Broadway musical. Potts is the mother of three sons: Clay (with third husband Scott Senechal, born 1981), and two with James Hayman: James (called Doc, born 1992), and Harry (born 1996). She is a Board Member of Stephens College, and has been instrumental in fundraising efforts for the college for many years.